Police are investigating reports of threats made against five Edmonton-area schools in the last 24 hours. Leduc RCMP were called to Father Leduc Elementary School around 2 p.m. Monday after staff were told about a Snapchat message that appeared to threaten the safety of the school. The school was put in a hold-and-secure mode and police were called. RCMP said they quickly identified the person who sent the threat and took them into custody. According to St. Thomas Aquinas Roman Catholic Schools, buses were slightly delayed. The hold and secure was lifted later that afternoon. Officers said their investigation is ongoing. Edmonton Public Schools also confirmed that Centre High was put on alert for about 40 minutes after receiving a phone threat around noon on Monday. Police were called and later determined the threat was not credible. Eastglen School received a similar threat around the same time on Monday. The school was put on lockdown for a brief period, and then on alert while police responded and investigated. On Monday morning, the school board was made aware of a threat posted on social media regarding J. Percy Page High School. They turned the matter over to police, who determined there was no danger to students, staff or the public. The school board says they posted a letter online to inform parents about the incident. 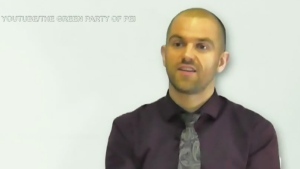 A report was also made by W.P. Wagner High School. 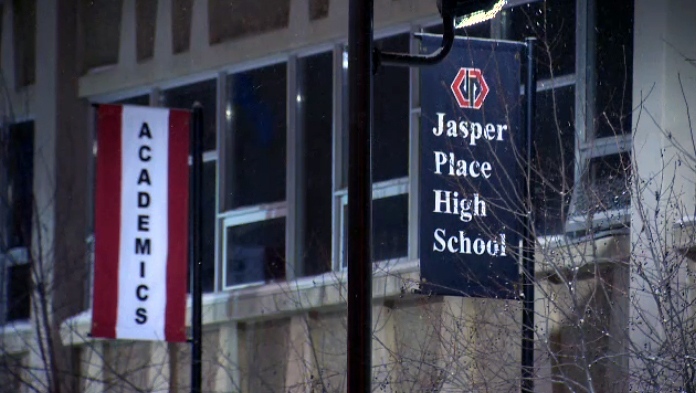 On Sunday night, police were alerted about a threatening photo circulating on social media regarding Jasper Place High school. Edmonton police confirmed the next day they had been notified of the threat and after investigating, believe there is not any danger to the students, staff or public. Investigators believe the image was a stock photo obtained online, and said it had been shared with students from numerous other schools. Investigators have been in touch with officials at the school, and said they do not believe there is any present danger to the students, staff, or the public. A resource officer was available to the students on Monday. 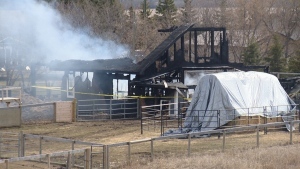 Similar images were reported by students in Calgary, Camrose and Winnipeg, Man. No charges have been laid at this time in regards to any of the threats. Police say they are not releasing any other information as the investigation continues.